The latest 2015 kitchen trends prove everything from custom cabinetry to flooring is changing; are you in the loop? At this year’s annual Kitchen & Bath Show the ever-telling member survey, which tracks and reveals current design trends, was released, revealing some serious changes in the industry. 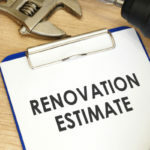 The results of the member survey only include full remodels, and exclude DIY projects and replacements. They represent a good indicator of emerging trends, and trends falling out of style. Here’s what the report had to say about the latest kitchen trends for 2015 and beyond. Kitchen cabinets are undergoing numerous changes in regards to style and functionality. 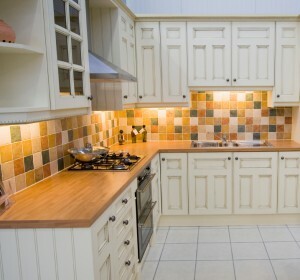 For one, painted cabinets are becoming more popular while distressed cabinetry is on the outs. As far as design goes, kitchens are getting more drawers and less cabinet doors for added convenience. NKBA is a nonprofit trade association that includes over 60,000 members; according to their observations of the member survey the trend on the rise is contemporary design. The areas noted for mass potential growth include shaker style and transitional design. Contemporary design is making a big statement as people everywhere strive to create kitchens with extremely neat lines and overall simple designs. Right in line with this appearance is the rise in frameless, European-style cabinets. 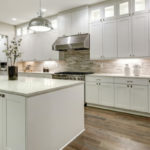 While fundamental components of the modern day kitchen are becoming simpler, people are getting more playful with paint colors and mixed styles in ways the industry has never seen in the past. In 2014, traditional kitchen design was the fourth most popular style but within only one year this has turned to a sharp decline. Just a couple years ago everyone wanted standout ornamented rustic– think distressed, glazed finish, but this look is quickly losing popularity. There is one clear trend amongst all of the details: convenience. Everything that is changing in regards to kitchen remodeling is really for the best because it’s all about making your space work for you. 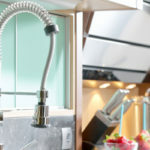 With the design focus shifted to user-experience, it might be time to say goodbye to some of the more conventional aspects of your kitchen and jump into the future of smarter, more flexible kitchens. The numbers show that the top preferred kitchen colors right now include shades of white and off-white. As 2016 chugs closer a shift is expected to take place as gray becomes the new favorite kitchen color. Black is another color notably increasingly in popularity, although this was once a rather uncommon color to see in a kitchen. You can compliment white, gray or black kitchens with colorful accent pieces; coral is one of the more popular kitchen accent colors right now. And What About Kitchen Appliances? Your kitchen appliances are here to stay, in fact your collection just might soon start to grow. Apparently people are getting more appliances installed than ever before, and sometimes two of the same thing. It’s becoming more common for people to install two dishwashers, or two freezers in one house or even one kitchen. Plus, there are so many different types of appliances you can buy now, like steam ovens that promote health and wellness. As people try and live a healthier lifestyle it seems more and more kitchen gadgets are hitting the market. In regards to refrigerators, French door refrigerators are the most common nowadays while freezer-top refrigerators and side-by-side refrigerators are declining quickly. As for faucets, the most popular trend is a polished chrome faucet. On the outs is a bronze/oil-rubber bronze as well as polished brass faucets. Get ready for some of your friends to change out their kitchen tables for counters and tall gathering tables. The current focus is on creating spaces that are more functional as opposed to traditional. You may also notice everyone getting a wine refrigerator for the kitchen, as well as docking stations and televisions. All of these things relate directly to the added convenience we are seeking. Laminate countertops have gotten some attention in the past but their glory days are over. 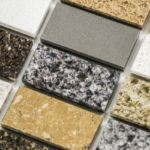 All the while, quartz countertops are on the rise. As 2015 rolls forward consumers are expected to increase spending on kitchen remodels. The central theme is user experience, creating a kitchen that truly works for you and with you, never against you. Experience the difference of a 2015 kitchen remodel on any budget by buying wholesale from Tops Kitchen Cabinet.